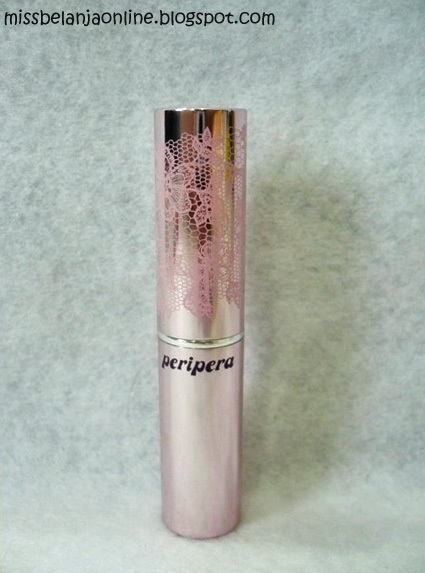 Peripera's wonder of lip lipstick leaves your lips silky and smooth. Each of the 23 colors radiates off your lips and gives you a sensual look. 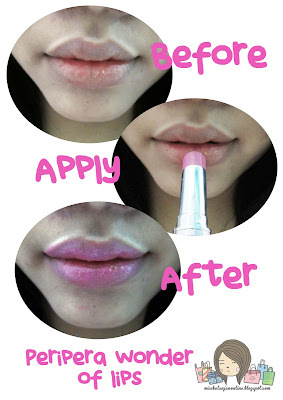 Vitamin derivatives and vegetable oil keeps lips moisturized. This lipstick comes in a light metallic pink case with a simple yet elegant floral design. Try the lighter colors for more natural looks and the darker colors for when your dressing up. You can never have to many! 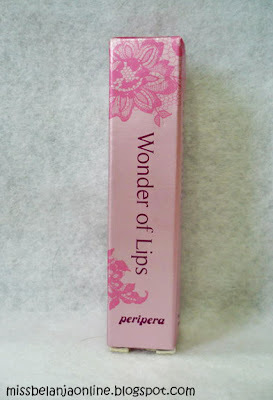 The box is pink color with "Wonder of Lips" words on its packaging. For the lipstick's packaging the main color is soft pink with glossy material (they called it metallic pink). It has a beautiful pink flowers ornaments on its cap. My shade is wonder pink. It is a pale pink color and I think it suits with my skin color. I really like natural color for my lipstick. This lipstick is very moisturizing. The texture is similar with my Revlon lipbutter but the color is more pigmented and buildable. The texture is creamy and staying power is around 3 hours. I think there are waaaay too many beauty brands in Korea! My friend who recently went on a trip there said that the beauty/make up stored are overwhelming! Great review! Im following you now. Hope you'll follow me back. Thanks!